President Donald Trump walks with North Korean leader Kim Jong Un on Sentosa Island, Tuesday, June 12, 2018, in Singapore. 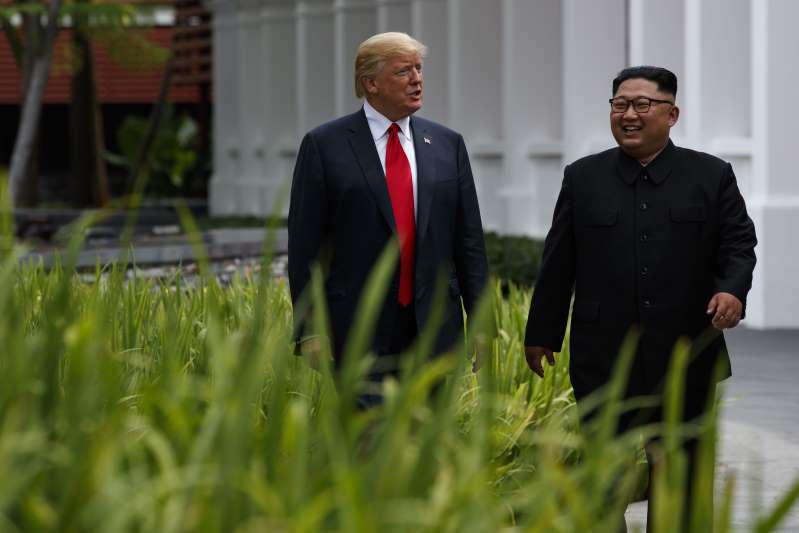 Newly introduced bipartisan legislation calls for stringent congressional oversight of U.S. nuclear diplomacy with North Korea as President Donald Trump looks to strike a deal with Kim Jong Un. Sen. Robert Menendez, top-ranking Democrat in the Senate Foreign Relations Committee, says there's a need for "robust consultation" with Congress because the joint statement emerging from the summit lacked details on how that would be achieved. The bill is co-sponsored by Republican Sen. Cory Gardner, who chairs an Asia subcommittee. The legislation, introduced Tuesday, calls for the president to submit a report on how the diplomatic negotiations with North Korea are expected to proceed, with continual written updates every 30 days.